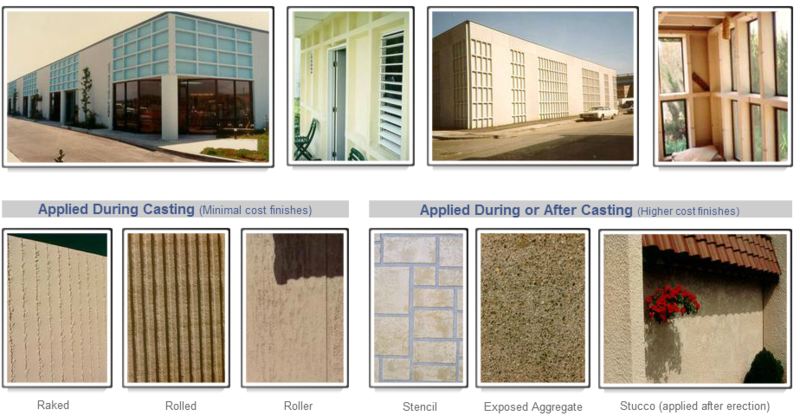 This page displays but a small number of the virtually unlimited options for finishing the exterior of a Global Technology Building Systems building. There are many different ways to add a finish during casting (e.g. raked or rolled), after casting (e.g. exposed aggregate or sandblasting), or after the building is erected (e.g. stucco or thin brick). Contact us if you don't see the finish here you are looking for.